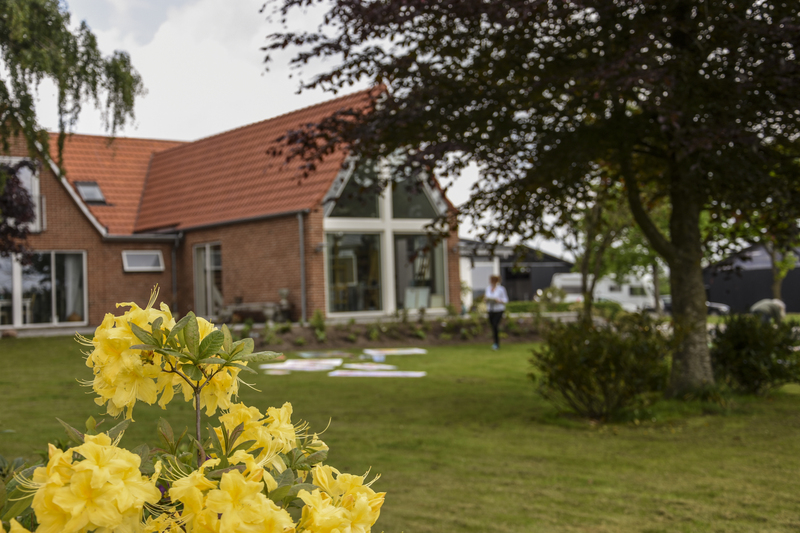 Sønderbygaard is located in the western part of Jutland, in beautiful surroundings. The place consists of an old farm house which is now used for B&B and art exhibitions, a newly build family house where the owners live, and some farm buildings still containing horses, pigs and more. The landscape surrounding the place invites you to take walks and enjoy the sound of birds singing, and the distant sound of tractors steadily working the fields. The Gallery The owner of Sønderbygaard Christina Kjelsmark have run the gallery for a number of years already. All year round you will find exhibitions of Christina’s own work but twice a year (Easter and fall) the gallery opens its doors to an exciting exhibition of various artists. The exhibition covers both paintings, hand crafts, glass, ceramics and sculptures. To visit the gallery outside of these special exhibitions, we recommend that you call or e-mail the owners to arrange a suitable time. Art Courses Every year many courses are held at Sønderbygaard. Course themes vary, but most of the courses are related to. A majority of the courses are run by Christina Kjelsmark, but other instructors also use our lovely facilities for their courses. The group of artists named art-club also arranges shared courses during the year. Online you can keep an eye on upcoming courses, and you are always welcome to contact Christina about up-coming events. Christina Christina Kjelsmark holds an MA in social sciences and art history. 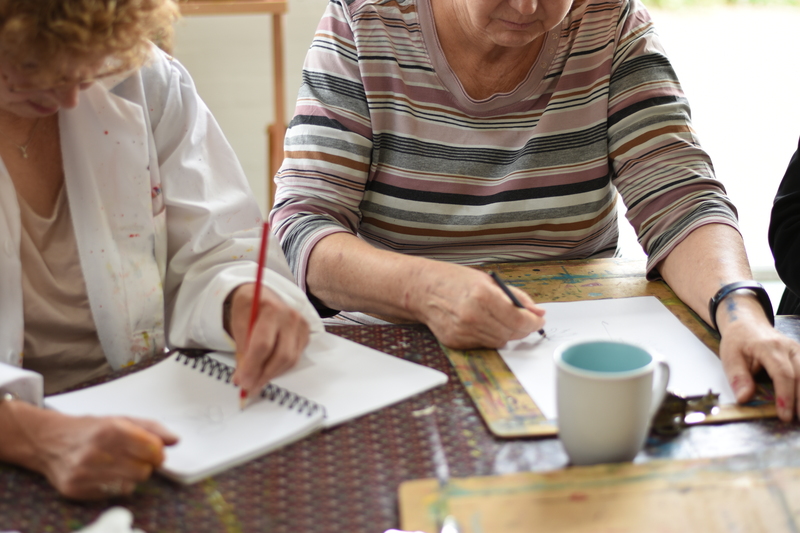 Though her career as an artist and an art instructor, she gained experience with many different sides of artistic expression. Christina’s own pictures are inspired by the surrounding landscape as well as remote areas such as Africa and her “darling” the Faroe Islands. Christinas pictures exhibited at her own gallery but also at several large Danish art houses as well as a gallery on the Faroe Islands. Christinateaches art classes both at the gallery and at regional educational facilities. Besides her work as an artist, illustrator and instructor, Christina has published several books about painting. Sønderbygaard also has a publishing house where books about hand crafts and hobbies are published regularly. The area A stay at Sønderbygaard is perfect for those who are interested in art, and you can participate in the owner´s courses. The place is also perfect for those who love nature. Is is surrounded by a nice and hilly landscape with woods and deers, and you can enjoy the beautiful nature during long walks along one of the many paths. Some of the exciting attractions in the area are also within reach, such as the funpark Jesperhus Blomsterpark, the medieval castle Spøttrup Castle or the open air-museum Hjerl Hede. The closest larger towns are Struer and Holstebro which both have exciting shops and restaurants.